The Dr. A.P.J. 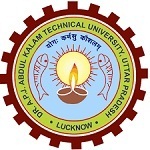 Abdul Kalam Technical University, Uttar Pradesh is aimed at delivering the UG and PG level of programs to a large number of aspiring candidates by conducting UPSEE 2020 considered as Uttar Pradesh State Entrance Examination. The main goal to organize this exam is to provide admission to several allied technical institutes. 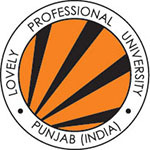 The entry to be gained for a particular course is simplified through the aspirant’s scores obtained acquired in UPTU 2020 and those succeeding in getting admission will be able to make a career in a diverse range of areas like architecture, pharmacy, engineering, hotel management and catering technology, apparel design, fashion & fine arts, management. It also offers admission in lateral entry in B.Tech, B.Pharma and MCA courses. This article has listed the several headings on UPSEE 2020 Application Form, Eligibility Criteria, Exam Pattern and many more. UPSEE 2020 Application Form will be stipulated through online. You need to ensure the completion of application form with details such as name, category, caste, parent’s name, and several other important details. You can access the application form from January. During online application procedures, it is mandatory to assign the scanned images of left-hand thumb impression, colored photo, images of signature. It must be considered to dispatch a hard copy of the filled application form. When the payment is done, get the printed copy of the confirmation page for future emendation. UPSEE application form 2020 will be released in the fourth week of January 2020. Candidates are required to upload the scanned images of signature and photograph. There is no need to send the confirmation page to the Authority. There will scarcely any requirement to send the validation page to UPSEE office. Now submit the application fee which differs one division to another. In case, the student belongs to a category such as SC/ST/PWD Category must submit RS 500 for filling the application form. The application fee for UPSEE will be Rs. 1300/- for Male/Transgender Candidates of General/OBC Category and Rs. 650/- for Female/SC/ST/PWD Category. The only online mode will be available to pay the fee. Candidates can pay the application fee through debit card, credit card, net banking, and e-wallets. The UPSEE will provide the application form correction facility through online mode. Corrections will be done only during the correction window. It will be started from the Last week of March to 1st week of April 2020.
Corrections will be allowed only in some particular fields. 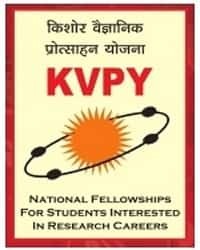 Indian National candidates are eligible to apply. No age limit to apply for UPSEE 2020. NRI, PIO, Foreign Nationals, Children of Indian Workers in Gulf Countries & Kashmiri Migrants can also apply. B.Tech 12th/Intermediate examination with Physics & Mathematics Chemistry/ Bio-Technology/Biology/Technical Vocational subject 45% marks in aggregate of 3 subjects (40% marks for SC/ST category candidate). 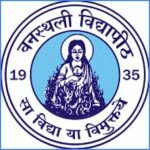 B.Tech (Agri.) 12th/Intermediate examination in Agriculture Discipline Agri. Stream Minimum marks in 12th examination should be 45% marks (40% marks for SC/ST category candidates) in the aggregate of 3 subjects. B.Tech (Bio-Tech) 12th/Intermediate examination with Physics & Mathematics/ Biology Chemistry/Bio-Technology/Technical Vocational subject 45% marks in aggregate of 3 subjects (40% marks for SC/ST category candidate). B. Arch 12th/Intermediate examination with Mathematics & Physics Chemistry/Computer Science/Biology/Engineering Drawing /Technical Vocational subject Passed intermediate examination with minimum 50% aggregate marks. B.Pharm 12th/Intermediate examination with Physics & Chemistry Mathematics/ Bio-Technology/Biology/Technical Vocational Subject 45% marks in aggregate of 3 subjects (40% marks for SC/ST category candidate). MBA/MCA Candidate should have e Bachelor’s degree of minimum three years duration from a recognized institution. For MCA, aspirants must have taken Mathematics either in graduation or 12th level. The qualifying examination should be passed with minimum of 50% marks (45% for SC/ST category). B.Pharm (LE) Diploma in Pharmacy Minimum 45% marks in qualifying examination (40 marks for SC/ST candidates). B. Tech (LE) Passed 3-years diploma in engineering or B.Sc with Mathematics as one of the subjects at 10+2. Minimum 45% marks in qualifying examination (40 marks for SC/ST candidates). 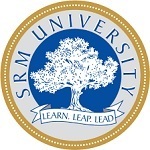 MCA (LE) BCA, B.Sc (IT/ Computer Science) degree from a recognized institution. Aspirants should have obtained 50% (45% for SC/ST) marks total in the qualifying examination. The UPSEE exam will be consisting of 11 papers. Paper-1, Paper-2, Paper-3, and Paper-4 will be OMR grounded paper whereas other remaining papers will be Computer Based Tests (CBT). Each paper will be comprising of objective type excluding Drawing Aptitude Test (Part-B of paper-4). The exam will be conducted for 3 hours. Aspirants will obtain 4 marks for every right attempt and No mark will be removed for the wrong attempt corrected by the aspirant. The syllabus of UPSEE 2020 examination is unusual from paper. The exam will be patterned with 11 papers. Every paper will encompass written examination. The subjects – Chemistry, Physics, and Mathematics/Biology comprises of paper 1 will have B. Tech./B. Tech. Agriculture Engineering and paper-2 will include B. Tech. Bio-Technology feature vital topics covering 11th and 12th standard. For B.Tech courses, the syllabus will comprise topics from physics, chemistry and mathematics subjects. For B.Pharma programme, topics will be asked from physics, chemistry and biology subjects. For PG courses, the syllabus will be asked from the respective graduation subjects. Candidates should be familiar with the official curriculum and the exam model for the preparation of an exam. Make a schedule for the preparation of exams according to the program. Study of NCERT books and other study documents. Suitable for an online simulation test. Solve questions from previous years and sample documents. Review each topic after two or three days of preparation for the exam. The handiness of the admit card will be through online April at the official website. Aspirants must be certain of one thing to not forget to bring admit card along when appearing for the examination. Aspirants who want to qualify the examination require producing the admit card while procedures of counseling and admission. So, you have to carry it on the exam day as it will hold you a steady. When you are downloading it, make sure to get several copies of admit card as they are going to be useful at the counseling session. 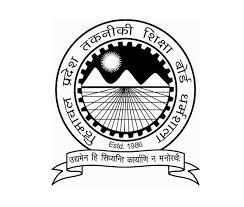 Admit Card will be accessible online in the month of April 2020. While counseling and admission, the eligible ones will need to show the admit card. Admit card must be kept safely throughout admission procedure. The examination centers for OMR based and Computer-based examinations will be different now onwards. Here we are mentioning the list of the UPSEE Exam centers which are officially declared by the Government of the Uttar Pradesh. The correction key will be published after a few days of examination. It will be published on different dates for each course. 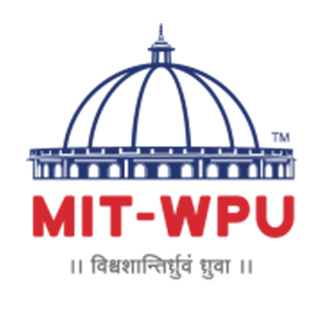 Candidates will verify the UPTU 2020 answer key through the online mode. If the candidates find an error or error in the answers or solutions, they can write their complaints or request clarifications from the officials. UPSEE 2020 Answer Key will contain all the correct answers to the questions asked in the examination. Through answer key, candidates can calculate their rough marks for the examination. The Authority will provide the facility to submit objections regarding the answer key. Any objections regarding answer key will be submitted till the first week of May 2020. The scores will be available from May 2020. In case of different course, individual merit list will be assorted based completely on student’s performance. The cut-off marks for the qualification of the eligible aspirants will be 25%. The students belonging to SC and ST category is 20%. Those who meet the required cut off will acquire a visit for counseling. As per the candidate’s performance in the entrance test, a separate UPSEE merit list will be prepared. In case candidates secure equal marks, then tie-breaking criteria will be applied. Candidates must keep safe the printout of the result for further admission procedures. Candidates will get an opportunity for scrutiny of answer sheets on payment of Rs. 5000/- per paper within seven days of the declaration of result. The success rate of the UPSEE by the merit of the selected candidates will be 25%for General Candidates and (in the case of a reserved category, it is 20%) according to the order of the UPSEE Authority. The merit will be based on the bases of the cut off marks which will be announced by the Government. To effectively qualify all stages in the counseling, you will require a copy of the result. The UPSEE counseling will be started by the UPSEE Authority in various mediums. The counseling will be started in the last week of June 2020. The counseling will be started through Online mode only and then there will be no offline mode by the UPSEE Authority for counseling. The counseling will be started on the basis of the merit list and candidates will be called accordingly. The candidates have to pay the Counselling Fees for participating in the UPSEE Counselling. The merit list will be displayed differing course. The counseling procedure will be comprised of various steps such as registration, choice filling, seat allotment, document verification and reporting to the allotted college. In case candidates fail to report to the allotted college their seats will be canceled. If you have any other questions about UPSEE 2020, you can write your queries in the comments box below.